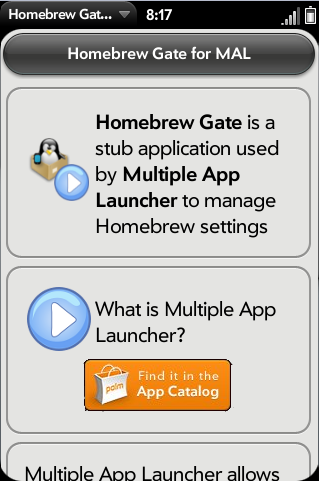 The aim of Homebrew Gate app is to create a link between official apps and homebrew services. Homebrew provide Cross launching API s othat any developper can use it for App Catalog Apps. Version 1.0.0 : Govnah support API.